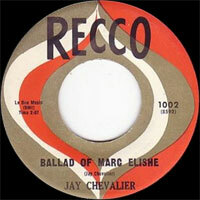 Chanteur Rockabilly US né le 4 Mars 1936 à Forest Hill (Louisiane), Jay Chevalier, a enregistré chez Cajun (57-58), Recco (59), Goldband (60), Pel (61), Speedy (61), Crest (62) et Cotton Town Jubilee Records (62-63). 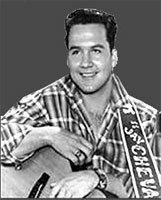 US Rockabilly singer, Jay Chevalier was born on March 4, 1936 in Forest Hill near Lecompte, Louisiana and reared in the small town of Midway just south of Alexandria. 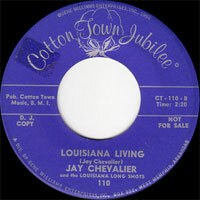 He says he grew up “poor and naked in the piney wood hills along the banks of Bayou Boeuf.” In 1954, Chevalier enlisted in the Marine Corps where he formed his first band, which appeared on Jimmy Dean’s national TV show on CBS in 1957. Upon his discharge, he recorded his first record, Rockin [!!] Roll Angel. Gene Vincent had just recorded Be-Bop-A-Lula, and the two became good friends, working together in Norfolk, Virginia. In 1959, three-time Louisiana Governor Earl K. Long, who was barred by the State Constitution from succeeding himself, was running for lieutenant governor on a ticket headed by another former governor, James A. Noe of Monroe. 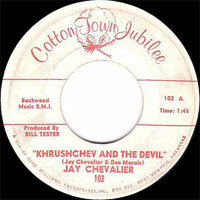 Chevalier, intrigued by the flamboyant character and his history, composed and recorded The Ballad of Earl K. Long which was initially banned from radio play because it was suspected to be a political ploy, although Chevalier had never personally met Long. Within a short time the song found its way onto the airways and was enthusiastically received, resulting in sales of more than 100,000 copies of the single in the state. Long won the election. 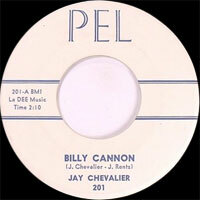 That same year, Chevalier also released Billy Cannon, a rollicking tribute to LSU’s only Heisman Trophy winner who helped his team win the 1958 national championship. On Halloween Night, 1959, Cannon electrified a partisan LSU crowd and stunned the Ole Miss Rebels with a fourth-quarter, 89-yard punt return to give the Tigers a 7-3 victory. Chevalier attended the game with Gov. Long and while he was not really a football fan, he witnessed the pandemonium of the Tiger Stadium crowd after the touchdown and wrote the song that night. 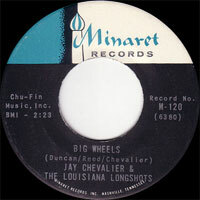 A record was released within days, adding to Cannon’s already mythical appeal, and the name Jay Chevalier became a household word from Shreveport to Lake Charles to New Orleans. By 1962, he was performing an extended engagement at the Golden Nugget in Las Vegas. In 1963, he added a nineteen-year-old Baton Rouge girl, Grace Broussard, to his show that already included Dale Houston. Dale & Grace had just recorded an old Don and Dewey Squires song, I’m Leaving It All up to You. It was while the three were on tour that the song took off, eventually rising to number 1 in the nation and selling two million copies. 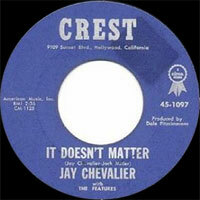 Also in 1963, a homesick Chevalier recorded another regional hit, Come Back to Louisiana. The song was revived when it was featured in the 1996 movie Blaze, in which Paul Newman played Earl Long. Chevalier served as a consultant for the movie and played the role of Sen. Paul Braden. 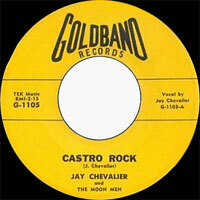 In the '70s, Chevalier returned to Louisiana from Las Vegas and managed a number of political campaigns. Chevalier made a brief entry into politics with an unsuccessful bid for the office of lieutenant governor in 1995. Come Back to Louisiana was re-recorded in 2006 to encourage victims of Hurricane Katrina to return home and to rebuild. The Louisiana Legislature adopted it as the official state song in 2006, giving Louisiana, already the only state with two state songs – You Are My Sunshine by former Gov. Jimmie Davis and Give Me Louisiana – three official ballads. Chevalier, who now lives in the New Orleans suburb of Kenner, had his office flooded and his home suffered tree damage during Hurricane Katrina. Somehow, it seems only natural that he would remake Come Back to Louisiana and end up singing it a cappella to the Louisiana Legislature. He still performs several times a year and has performed for two international festivals in England: the Hemsby Festival (2005) and the Americana Festival (2006). 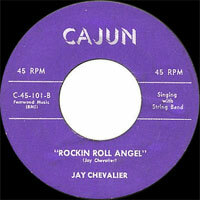 Chevalier is a member of the Rockabilly Hall of Fame. 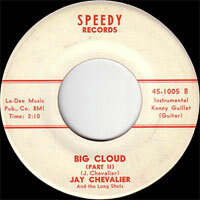 He was inducted into the Louisiana Political Hall of Fame in January 2003 and on December 7, 2008, Jay Chevalier was inducted into the Louisiana Music Hall of Fame. 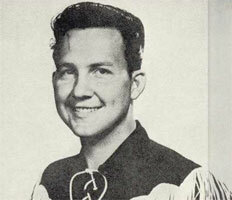 He was also designated “Official State Troubadour” by an act of the Louisiana Legislature in 2006.